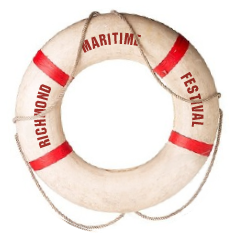 Canadian Western Bank is an official Community Partner of the 2015 Richmond Maritime Festival. Canadian Western Bank is a Schedule 1 bank, the largest located in Western Canada. CWB has been one of the “50 Best Employers in Canada” for the last 7 years, and was awarded one of “Canada’s 10 Most Admired Corporate Cultures”. CWB provides a full range of financial services for both business and personal clients through 41 banking branches located in major urban centers throughout the four western provinces. Banking services include lending, leasing, deposit taking, cash management services and a full suite of wealth management products including mutual funds. Different than a college or university, BCIT’s approach combines small classes, applied academics and hands-on experience so that you’re ready to launch your career from day one. We’ve always known what goes around comes around. Panago makes deliciously fresh pizza, but we believe that isn’t enough. We feel it’s right to give back to our communities. We direct our focus towards local involvement and long-term partnerships. 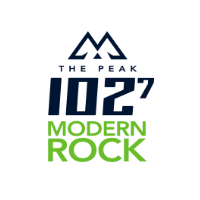 The Peak is Vancouver’s World Class Rock station. Listen to discover your next favourite artist and become a PEAK VIP for exclusive concert and contest information. Visit thepeak.fm to listen live and to find all the latest information on community events, concerts and new artists. Over the years Miss604 has become Vancouver’s most award-winning blog. Miss604 was accredited for the BC Media Centre at the Vancouver 2010 Olympic Games and in 2015, Rebecca was chosen as the City of Vancouver’s official host city blogger for theFIFA Women’s World Cup, and was Wines of Chile Ambassador for TED 2016. Texcan is one of Canada’s largest and leading electrical and electronic wire & cable distributors. Specialized services and application expertise enables Texcan to customize solutions to meet or exceed our customers’ project needs. Because arts and culture are at the heart of communities and voicing support is important! The Richmond Arts Coalition mandate includes advocacy for arts and culture to all levels of government.